“The LX100 developed a cult following among enthusiasts, and now the LX100 II rewards our fans by delivering their most-requested upgrades,” said Scott Mellish, Product Marketing Manager, Imaging, Panasonic. The F1.7-F2.8 LEICA DC VARIO-SUMMILUX lens offers impressive performance, and combined with the large MOS sensor, the rich amount of light produces impressive shallow depth of field, according to Panasonic. 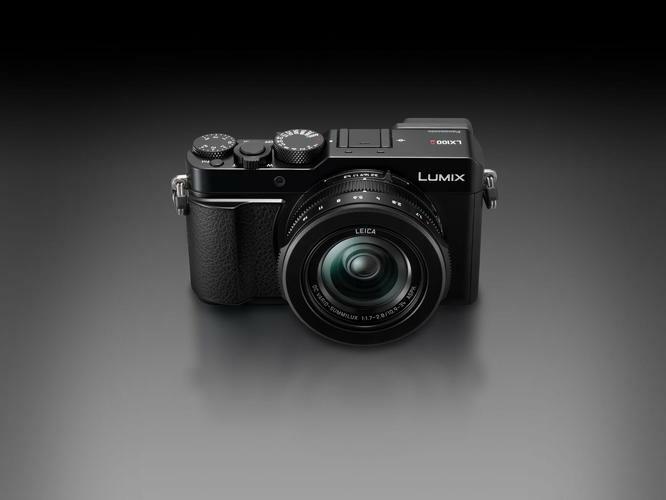 The Lumix LX100 II incorporates a 4/3”, 21.77-megapixel High Sensitivity MOS Sensor. This new high-resolution MOS Sensor supports low-light shooting at ISO 25600. A 2760K-dot equivalent Live View Finder is controlled via an Eye Sensor. The new 3.0” rear monitor offers 1240K-dot resolution and enables touch control, incorporating Touch Pad Autofocus. The LX100 is capable of recording 4K video, and extracting individual frames from 4K video to create a 3840x2160 8-megapixel equivalent JPEG image. The in-camera Sequence Composition function also allows a sequence of images to be shown within one shot. The LX100 II integrates Panasonic’s Depth From Defocus technology which shortens the time to acquire focus. As a result, the LX100 II achieves high speed AF of approx. 0.10 seconds, according to Panasonic. The LX100 II is capable of releasing the mechanical shutter at max.1/4000 sec and 1/16000 with electronic shutter. The Lumix LX100 II will be available for $1399 from October 2018.